The new Jetta is powered by Volkswagen’s 1.4-liter turbocharged and direct-injection TSI® engine, making 147 horsepower and 184 pound-feet of torque. The 16-valve engine is able to generate peak torque at just 1,400 rpm, while at the same time returning EPA-estimated fuel economy of 30/40/34 mpg (city/highway/combined) regardless of transmission choice. The engine, internally coded EA211, features an air-to-water heat exchanger built directly into the intake module in place of an intercooler. The exhaust manifold is integrated into the head, reducing the distance that exhaust gases must travel to reach the turbocharger, thus allowing for faster response and catalytic converter light off. Valves work to regulate coolant flow into the head, which allows for rapid engine (and thus cabin) heating, as well as efficient cooling when the engine reaches normal operating temperature. Both the intake and the exhaust valves feature variable valve timing, which results in improved low-rpm performance, as well as increased torque throughout the rev range. A relatively high 10:1 compression ratio further helps the engine’s efficiency, yet it still takes regular (87 octane) gasoline. While the 2019 Jetta is more technologically advanced than ever, retaining its fun-to-drive character was of critical importance. Thus, a six-speed manual transmission is standard, with an eight-speed automatic available optionally. The all-new eight speed automatic transmission offers the benefit of two additional gears over the Jetta’s predecessor, while remaining exactly the same weight. Primary goals in its creation were driving comfort and, of course, fuel economy. A shorter first gear is designed to provide faster acceleration than the previous model as well. Shift-by-wire hydraulics pair with optimized gear teeth and ultra-low friction mating surfaces to create a seamless, efficient, and comfortable drive experience. A Start/Stop System is standard on automatic-transmission models. This technology stops the engine during idle when the brake pedal is held (such as when waiting at a red light). When the brake pedal is released, the engine restarts seamlessly. Since its inception in 2006, the Green Car of the Year has been selected by Green Car Journal editors and invited jurors from highly-respected efficiency and environmental organizations. This year’s invited Green Car of the Year® jurors include celebrity auto enthusiast Jay Leno; Jean-Michel Cousteau, President of Ocean Futures Society; Matt Petersen, President and CEO of Los Angeles Cleantech Incubator and Board Member of Global Green USA; Dr. Alan Lloyd, President Emeritus of the International Council on Clean Transportation and Senior Research Fellow at the Energy Institute, University of Texas at Austin; Mindy Lubber, President of CERES; and Jason Hartke, President of the Alliance to Save Energy. 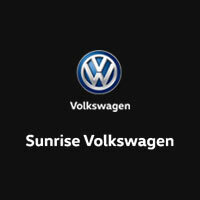 “TSI”, “VW”, “Volkswagen”, all model names and the Volkswagen logo are registered trademarks of Volkswagen AG.